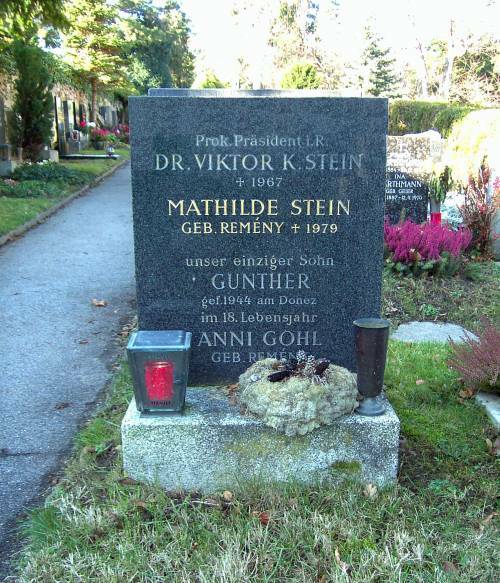 1979: Mathilde died in Vienna and was buried 6 Dec. 1979 in Grinzing. 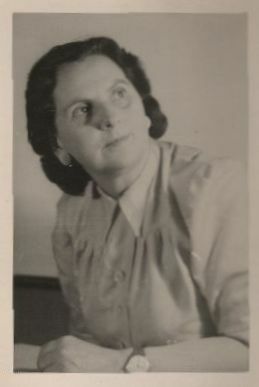 Mathilde was known to us as "Thilde". Gunter Stein died in World War II (on the front, by allied bombings ?). As a result Viktor Stein refused to visit his relatives in Britain after the war. After his death, Thilde came several times to visit. 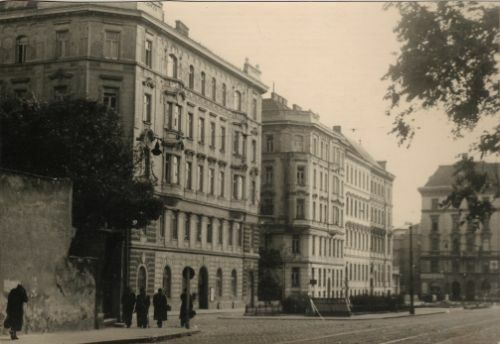 The Steins lived in the Liechtensteinstrasse. In 1965(?) I visited Thilde in Vienna. I think I stayed in a hostel; I would have a roll and a half-litre of milk for breakfast at the local grocers and then visit Thilde in the Liechtensteinstrasse. In 1973 I did a summer course at the Vienna University and visited her here again.